COLD CARROT, COCONUT, CURRIED SOUP! This is one of the best cold soups I have ever tasted. It's easy to make and versatile in that you can add different toppings to change the flavors. I found the recipe in Gourmet Magazine, but have doctored it a bit. Carrots, about 4 cups peeled and cut into chunks or use your mini-max to chop. 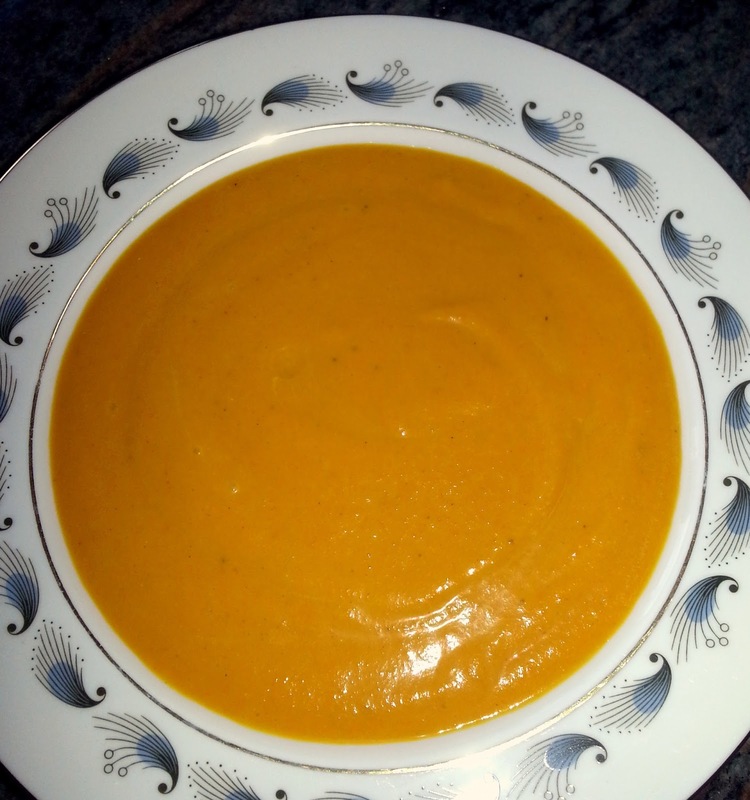 Additional water for thinning soup if necessary. Garnishes: we'll discuss those later! 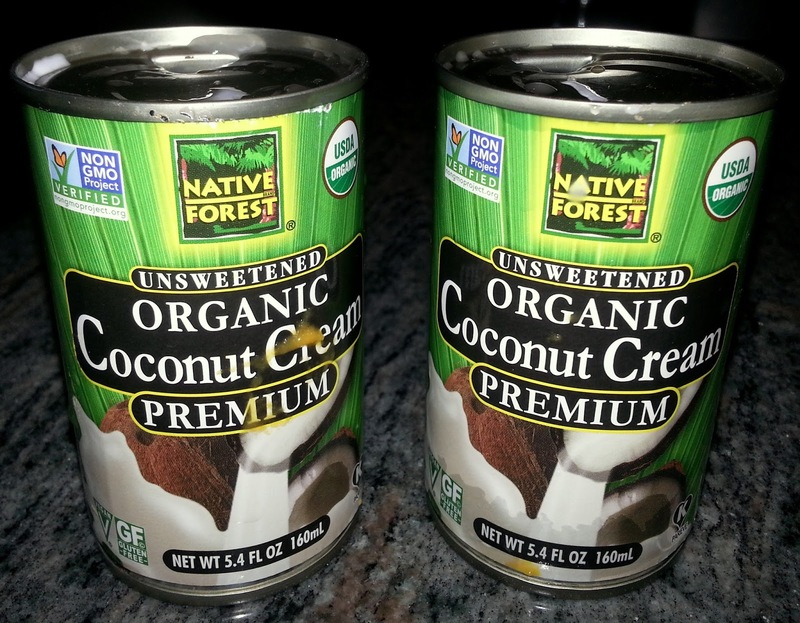 I like this brand of coconut cream and buy it online. 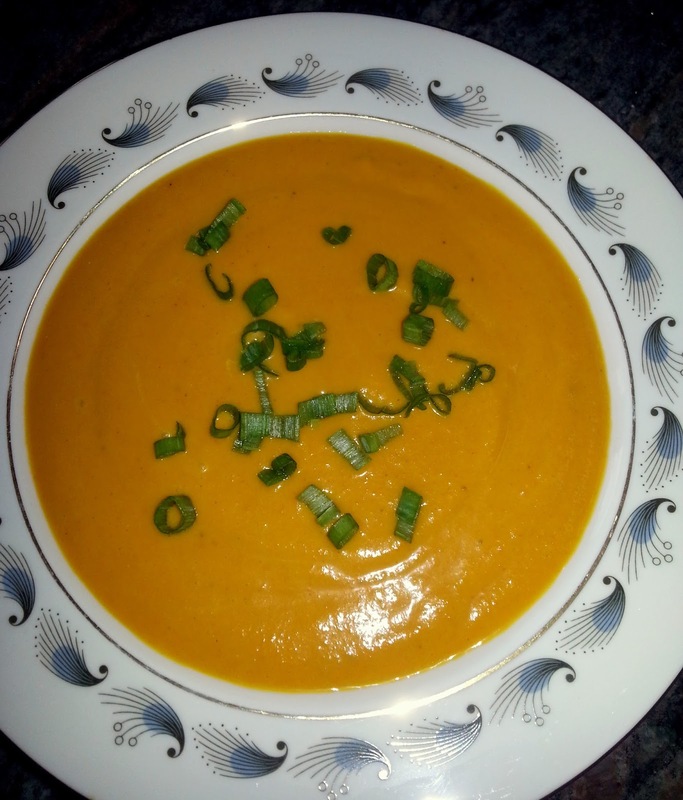 In a large heavy soup pot, cook carrots, chopped scallion, onion, garlic, and gingerroot in butter or olive oil. Add curry, salt and pepper. Cook over moderately low heat until the veg are softened. Add the broth. Simmer mixture covered about 20 minutes until carrots are very soft. 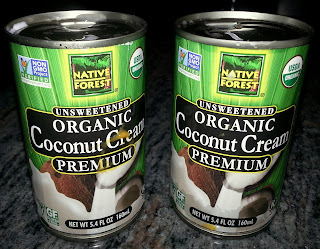 Let it cool a bit and then put the mixture in a blender in batches with the coconut cream and blend until very smooth. Transfer to a bowl and stir in 1 Tbsp. lime juice and water to get the consistency you want. It should be a little bit thick. Cool for several hours, but really best to cool overnight--the flavors meld together beautifully. When you're ready to serve, check seasonings again, add a little more water if necessary. Garnishes: This soup is perfectly delicious with NO garnish, but it also lends itself to many different toppings. Try it with wild shrimp sautéed in butter, garlic, grated ginger and a little fresh lime juice. Finish with chopped basil and scallions. 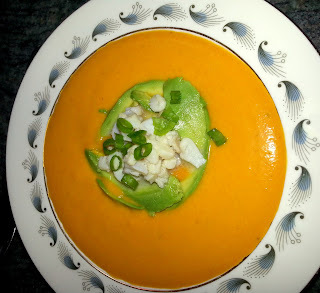 Or top with avocado slices and chopped cod fish poached in coconut milk, scallions and basil. The cod almost tastes like lobster. Finish with scallions. The texture and flavor of the avocado add another element of rich, creaminess to this soup. Or simply top with scallions. I think it would also be great with a boneless, skinless chicken breast poached right in the soup and then removed to shred and placed back in the soup to chill. So creamy, it almost looks like whipped cream! 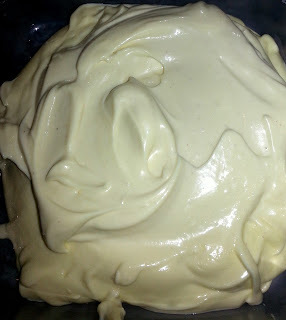 Recently I have been making my own mayonnaise. Like making your own catchup, BBQ sauce or any number of other condiments, the freshness and flavor is SO much better than store-bought, plus no artificial ingredients. This recipe, made in a blender or food processor, is easy, and the mayo keeps for a couple weeks. I like to make it with avocado oil, not olive oil. The olive oil may give it a bitter taste and the olive flavor is overpowering. If you use olive oil, try mixing it 50/50 with a more neutral oil. I am sure any mild oil would be good. This simple method for making in a blender or food processor is nearly foolproof! * If you forgot to pull your eggs out of the fridge an hour early, run them under hot water until they are warmed up. This is important as a room temp egg will hold the sauce together better than a cold one. **You can add any acid, like vinegar, but I like the flavor of fresh lemon. Put the egg yolks and whole egg, lemon juice, mustard, salt, and white pepper in a blender. Process for a few seconds to combine ingredients. 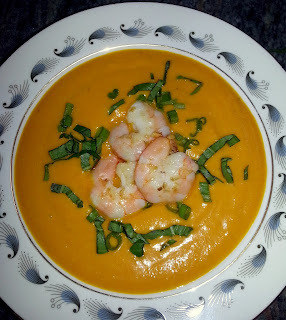 With the blender or food processor running continuously, pour in the oil very slowly in driblets at first. This is important to start the emulsion process. As the mayo starts to thicken you can add in a very slow, thin stream, but wait about 30 seconds between additions to make sure each time you add oil it gets incorporated. When the sauce thickens you can add the oil in a steady stream. Finally, add 1 tsp., or more, of water. You may be thinking oil and water don't mix, but the water actually improves the emulsification. Here's the science behind it: Adding a teaspoon of water increases the space between fat droplets, helping them stay separate— a necessity when forming an emulsion. Plus adding a small quantity of water makes a lighter mayo. Transfer the finished mayo to a bowl covered with plastic wrap, glass jar, or plastic container, and store in the refrigerator. The fresher the eggs, the longer it keeps. Do not store in an aluminum container as it will turn your mayo grayish. The variations on a mayonnaise theme are endless: Garlic (aka aioli); chipotle; curry; tarragon; wasabi or horseradish mayo and on and on...Experiment! 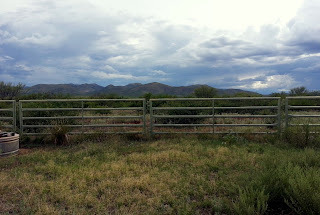 Last time I told you about a ranch my husband and I recently visited just outside of Bisbee, AZ in McNeal. 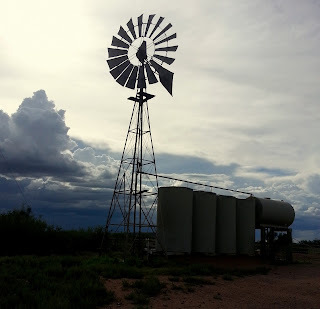 I am impressed that the 47 Ranch is totally off the grid using solar and wind power exclusively for their entire operation. They raise grass-fed, organic cattle, sheep, pigs, and goats (currently raised at a nearby ranch). I love goat, but have never had a goat burger. I wanted the true taste of goat so just seasoned the meat with salt and pepper and put them in a hot frying pan to cook to a medium-rare perfection. This burger was succulent, rich, and had a mild goat flavor, reminiscent of venison! I grew up eating venison and to think a farm-raised goat could taste quite as good was a wonderful surprise. 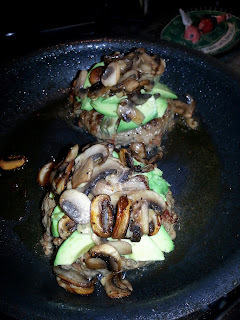 I cooked my burgers in a pan as I did not want to lose one bit of juice by grilling and topped them with sautéed mushroom and avocado. Next time, I will top them with a generous portion of goat cheese! Wonder if Bobby Flay makes goat burgers in his restaurant? 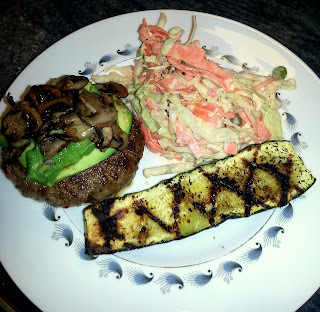 I served the goat burgers with grilled zucchini and coleslaw made with the above homemade mayo. 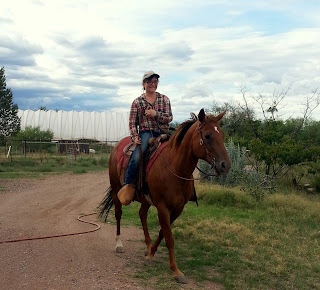 Or visit them every Thursday at the Farmer's Market in Sierra Vista or Saturday morning at the Market in Bisbee. Pigs are such happy and inquisitive creatures! Ranch-hand, Vanessa and our host for the afternoon. Her assistant, Eloise, a college intern from France. 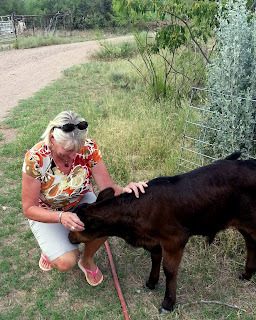 Me and Leroy, a rescued calf who will be raised at the ranch. That's all for today. Next time, I will share stories from another local rancher who raises goats and makes her own cheese. Happy cooking to you...until we meet again! Sweetbreads right from the package! Sweetbreads resting after their water-bath. 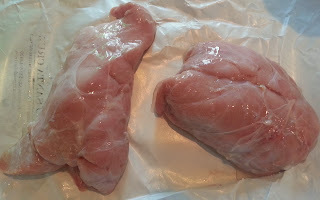 SOAK SWEETBREADS: Rinse sweetbreads under cold running water, then soak in a large bowl of ice and cold water in the fridge, changing water once or twice if water becomes pink, at least for 2 hours, then drain on paper towels or a linen dish towel. MAKE BROWN BUTTER: Melt 1 stick butter in a 1 qt. heavy saucepan over moderate heat, then cook, stirring occasionally, until butter turns golden with a nutlike fragrance and flecks on bottom of pan turn a rich caramel brown, 10-20 minutes. Butter will initially foam, then subside. A thicker foam will appear. Stir more frequently toward end of cooking. Pour through a fine-mesh sieve into a heatproof measuring cup and set aside. You will have 5-6 Tbsp. of brown butter. Bring water (2 quarts) to a simmer in a 3-4 qt. saucepan with onion, bay leaf, cloves, 3 cloves garlic, and 1 tbsp. salt. 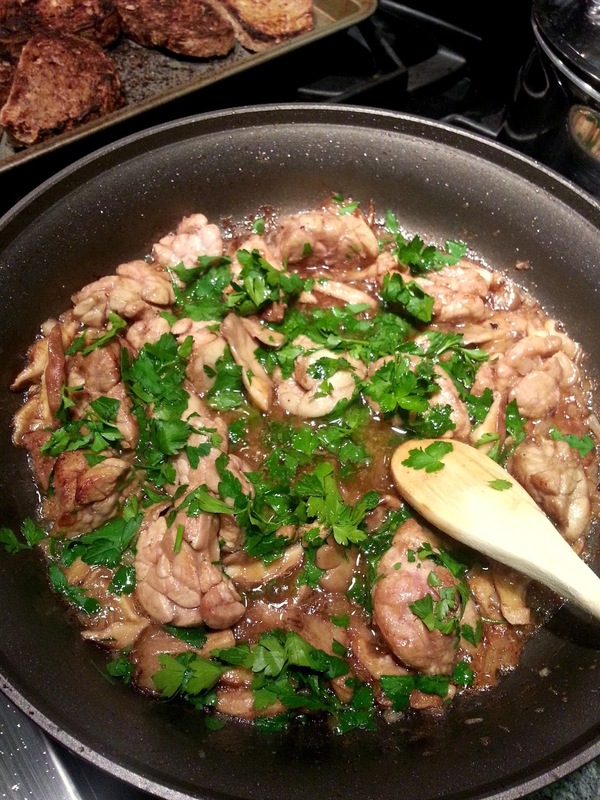 Add sweetbreads and poach gently uncovered, at a bare simmer--about 10 minutes. 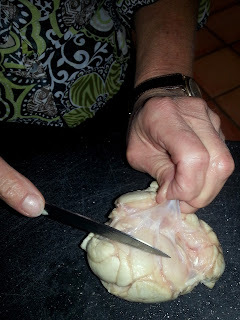 Transfer sweetbreads with a slotted spoon to a bowl of cold water to stop cooking. put them in the water. They quickly came back up to gentle boil. Pour 1 cup poaching liquid through a sieve into a small bowl and reserve for sauce, discarding remaining poaching liquid. 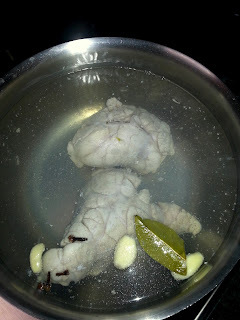 Drain sweetbreads and pat dry. Using a paring knife, cut away any fat and pull away as much membrane and connective tissues as possible. This is a lot like taking the silver skin off any meat. 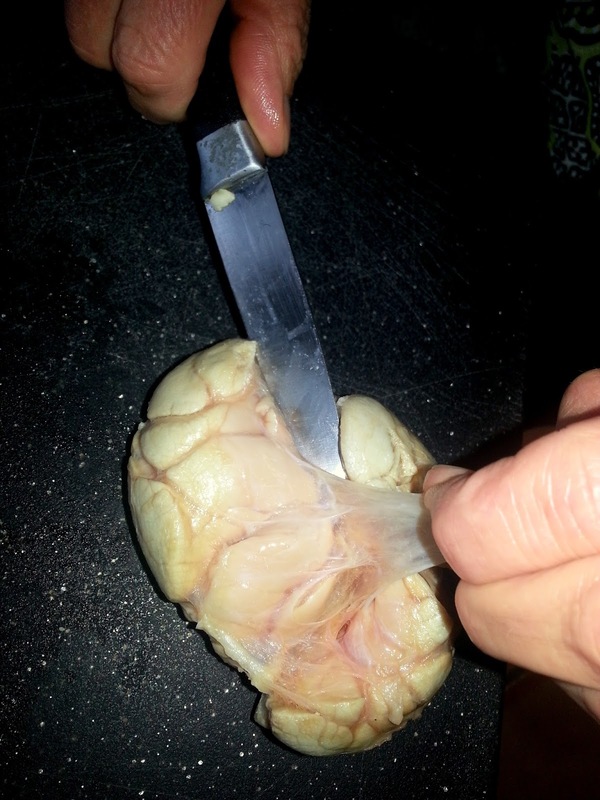 The more thoroughly you clean and remove tissue the more tender and silken the sweetbreads will be. Separate or cut sweetbreads into roughly 2 inch pieces. Arrange sweetbreads on a tray lined with paper towels to keep dry, blotting tops with more paper towels. Cut/slice mushrooms. Put oven rack in middle position and preheat oven to lowest temp--175 to 200 degrees. Heat a 12 inch heavy skillet over high heat until a bead of water dropped onto cooking surface evaporates immediately--2 to 3 minutes. Meanwhile, season the sweetbreads on both sides with 1/4 tsp. salt and 1/4 tsp. pepper. Sweetbreads just going into the pan with brown butter. Add 2 Tbsp. brown butter to skillet, swirling to cover bottom (butter will smoke), then add seasoned sweetbreads without crowding. Reduce heat to moderately high, then cook, undisturbed until undersides are golden brown--2 to 3 minutes. 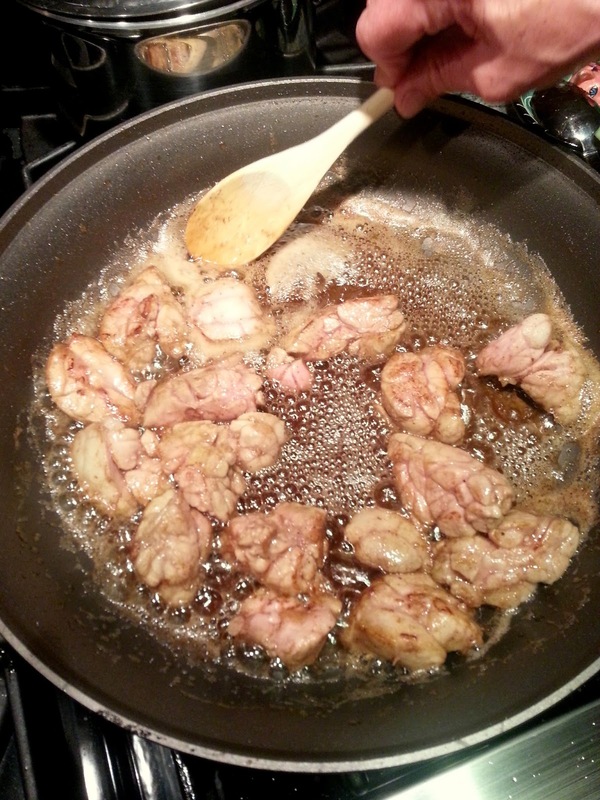 Remove from heat and transfer browned sweetbreads with tongs to a shallow baking pan, arranging them in 1 layer. Keep warm in oven. Add the rest of the brown butter to the skillet and saute mushrooms, stirring occasionally until browned on edges--3 to 5 minutes. Add shallots and remaining 1/4 tsp. salt and pepper. Saute for another minute or so. Add sherry, lemon juice, and reserved poaching liquid and boil, scraping up brown bits until mushrooms are tender and liquid is reduced by half--about 5 minutes. Remove sweetbreads from oven and add them and any liquid into the skillet. Add parsley and remaining 2 Tbsp. butter (not the brown butter), then remove from heat and gently stir until butter is incorporated into sauce. Serve sweetbreads immediately. I served on buttered toast points as a first course. 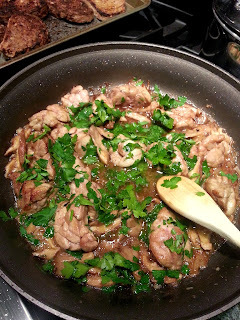 Here's a funny story...I made these sweetbreads for our neighbors. They came with 2 of their teenage kids and I was so impressed the kids not only tried the sweetbreads, but seemed to really like them. As I was doing the last stir on the sweetbreads one of the kids offered to video tape me. She was filming with my camera; I was talking in my Martha Stewart voice; and all of a sudden every smoke alarm in the house went off! I was so excited to be cooking sweetbreads that I forgot to turn the overhead fan on. The video is funny, but not very useful because early-on all you hear are the alarms! 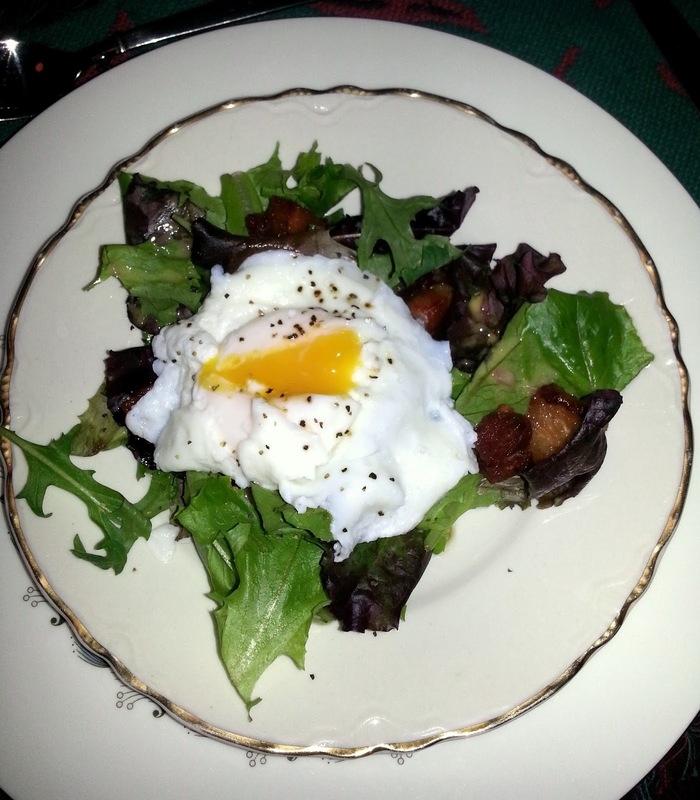 If you are making an all French meal, you might want to follow the sweetbread course with this classic French salad. Salad Lyonnaise ready to serve. This salad gets its name because it originates in Lyon, France. 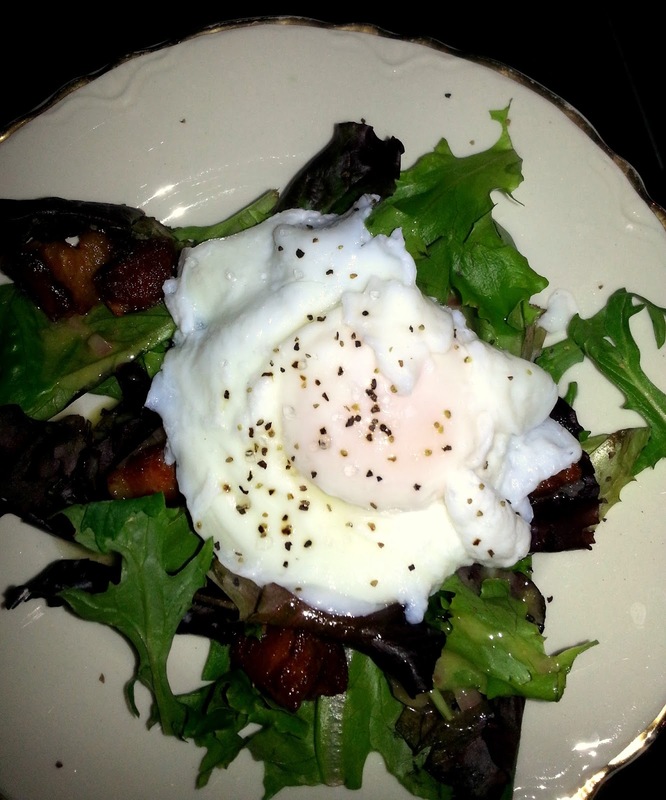 It is a very simple salad with a few key ingredients: just the right salad dressing; perfectly poached egg; good quality lardons of bacon; and fresh greens. Traditionally you would serve over frisee, but I could not find frisse so served over mixed greens with herbs. Boil bacon and 1 cup water in a 12 inch skillet. Reduce heat to medium-high; cook until water is evaporated and bacon is crisp. Using a slotted spoon, transfer bacon to paper towels to drain. Transfer 3 Tbsp. bacon fat (do NOT skimp on the bacon fat) to a large bowl. Add lemon juice, mustard, shallot, salt, and pepper. While whisking, slowly drizzle in oil until vinaigrette is emulsified (slightly thickened and completely incorporated). Add reserved bacon and the frisee. Toss and divide between 4 plates. Bring a large shallow saucepan or frying pan of water to slow boil. Add some salt. Crack eggs one at a time into a small bowl or cup and carefully slide into the water. You want the water to be bubbling, but not boiling. If too hot the eggs will disintegrate. If too cool they will run all over the pan. Cook until whites are set--about 2 minutes depending on size of egg. Using a slotted spoon, carefully life eggs out of the water and divide between plates; garnish with more black pepper and make a little slit in the yolk to open before serving. Add here's the salad before the egg is broken. 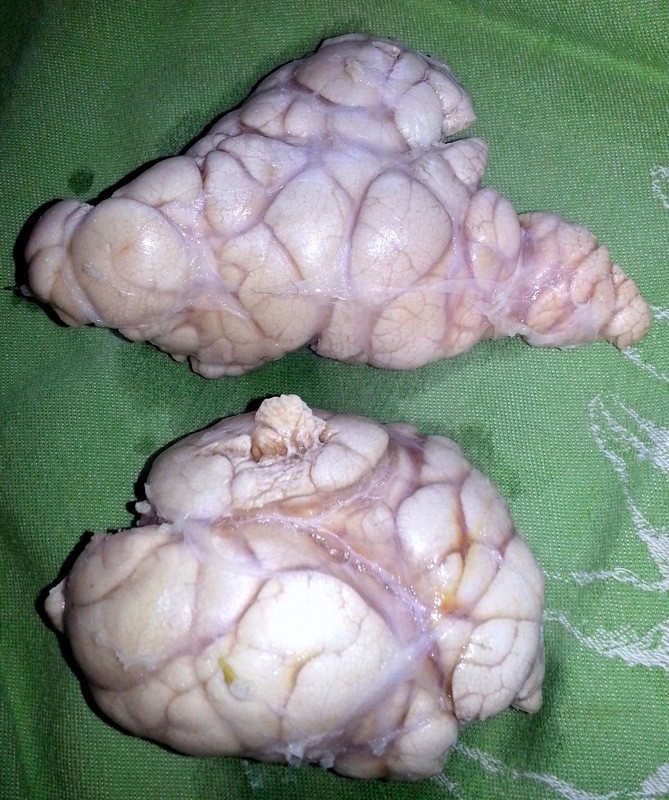 I would love to hear from those of you who enjoy sweetbreads and also hear how you cook them. Hopefully for those who have not tried them, this might inspire you! My husband, Jerry and I recently spent my (big!) 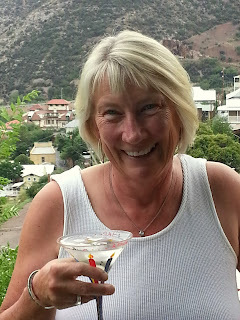 birthday weekend in Bisbee, Arizona. 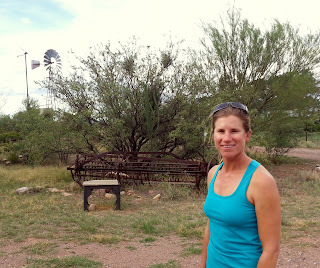 We had a few days to kick back and enjoy this beautiful, old mining town. We also had the opportunity to visit a fabulous ranch in McNeal, just outside of Bisbee. The family owned and operated '47 Ranch' is totally off the grid. All their critters are lovingly raised on grass with no antibiotics or hormones. 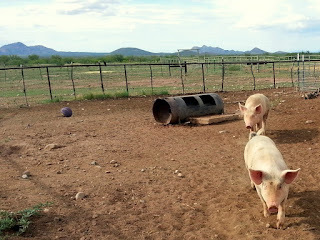 We met some pigs and sheep along with the owners, Dennis and Deb Moroney, and main ranch-hand Nessa. They also have 500 head of cattle and raise goats at another location. 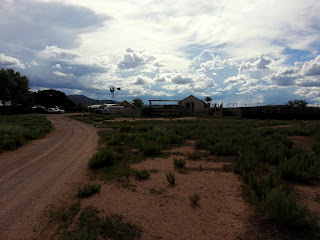 You will be hearing much more about this ranch and their products in future posts. ENJOY THE LONG, HOT DAYS OF SUMMER! KEEP COOKING AND GETTING CRAZY IN (AND OUT OF) THE KITCHEN!